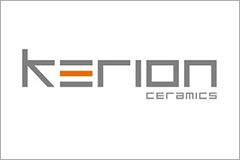 Kerion a well esteemed Portugal brand known for its innovative mosaics and cement tiles, Kerion develops innovative solutions of porcelain stoneware, tiles through the use of sustainable technologies. Kerion range of products includes Mosaics collection with different shapes and textures, enriched by metallic finishes with high resistance for indoor and outdoor environments. Chhabria & Sons offers premium quality mosaics inspired by old cement tiles from base colors to decors in size 20x20 cm. Chhabria & sons dealer of mosaics offers a wide range of mosaic tiles with a variety of designs and textures to choose from. Page rendered in 0.0800 seconds.